The United States Of Guadrucepe is a nation led by President Shirriff on the continent of North America. The United States Of Guadrucepe's government is a Democratic Republic with very moderate social policies. Economically, The United States Of Guadrucepe favors moderate policies. The official currency of The United States Of Guadrucepe is the Dollar. At 134 days old, The United States Of Guadrucepe is a mature nation. The United States Of Guadrucepe has a population of 1,049,754 and a land area of 8,850.00 sq. miles. This gives it a national average population density of 118.62. Pollution in the nation is evident. The citizens' faith in the government is completely depleted with an approval rating of 0%. I strive to have peace with all other countries. I will avoid war whenever I can, but I will defend if I must. I would love to have diplomatic relations with anyone! I am a member of the Triple Entente. 04/17 05:01 pm - Guadrucepe declared war on Ariandowlyn for the reason of "Reichspakt Counter. DM for peace.". 04/15 06:18 pm - Guadrucepe declared war on Duconia for the reason of "Raid. DM for peace.". 04/12 06:09 pm - Guadrucepe declared war on King Landing for the reason of "Inactive Raid". 04/09 06:51 pm - Guadrucepe declared war on Imperial Stars for the reason of "Inactive Raid". 04/07 06:32 pm - Guadrucepe changed their Color Trade Bloc from White to Yellow. 03/26 07:09 pm - Guadrucepe had war declared by Gad kingdom for the reason of "Luke... I am your father.". 03/26 06:49 pm - Guadrucepe ended the embargo placed on Federal Republic of China. 03/26 06:49 pm - Guadrucepe placed an embargo on Prince of power. 03/26 06:37 pm - Guadrucepe had war declared by Prince of power for the reason of "I am the LAW!". 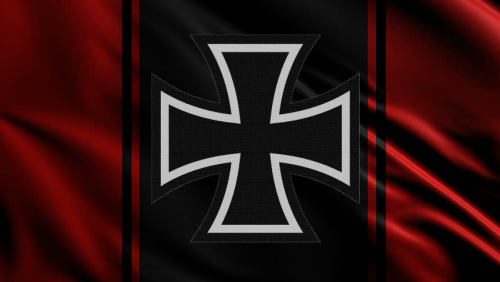 03/26 06:21 pm - Guadrucepe applied to join the alliance Reichspakt. 03/26 06:17 pm - Guadrucepe left the alliance Order of the Fallen Angels. 03/23 04:15 pm - Guadrucepe applied to join the alliance Order of the Fallen Angels. 03/23 03:36 pm - Guadrucepe had war declared by Stratvoka for the reason of "You brought this on yourself". 03/23 09:20 am - Guadrucepe had war declared by North Barbarians for the reason of "Say hello to my little friend!". 03/23 03:33 am - Coolkid666 removed and banned Shirriff from the alliance Triple Entente. 03/20 05:52 pm - Guadrucepe declared war on nation of the raccoons for the reason of "Military test--- peace out whenever u want". 03/20 05:14 pm - Guadrucepe applied to join the alliance Triple Entente. 03/20 05:13 pm - Guadrucepe left the alliance Brotherhood of the Clouds. 03/18 05:06 pm - Guadrucepe changed their Color Trade Bloc from Gray to White. 03/13 04:02 am - Guadrucepe changed their Color Trade Bloc from Black to White. 03/11 10:50 pm - Guadrucepe had war declared by Dawn of a New Nation for the reason of "Nova Riata Counter". 03/11 10:21 pm - Guadrucepe applied to join the alliance Brotherhood of the Clouds. 03/11 10:19 pm - Guadrucepe left the alliance North Atlantic Empire. 03/11 09:46 pm - Guadrucepe had war declared by United States of Primus for the reason of "Counter". 03/11 09:35 pm - Guadrucepe had war declared by Old Brittannic for the reason of "Counter". 03/11 09:08 pm - Guadrucepe declared war on United Cloroxia for the reason of "Bounty". 03/09 08:21 pm - Guadrucepe declared war on CalifornianSan Francisco Bay for the reason of "Inactive Raid". 03/07 04:50 am - Guadrucepe applied to join the alliance North Atlantic Empire. 03/07 04:49 am - Guadrucepe left the alliance The Cult of Skaro. 03/06 10:35 pm - Guadrucepe had war declared by Republic of Slovenia for the reason of "I need resources. ".